Watery.dk wanted the best machine for their search and recommendations. 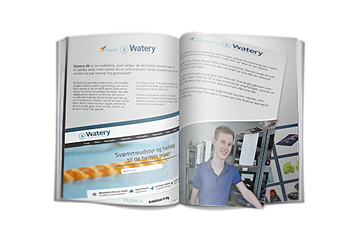 Read about Watery.dk challenges and how Clerk.io has helped them. Watery is a one-stop shop for swimming gear, founded by young elite swimmer Daniel Johannessen at just 17. Watery offers products for baby paddlers, divers and water sports enthusiasts. Having a large inventory of products and just a one-man army, Watery wanted to find a way to form useful and effective search and recommendations functions that would help customers find what they wanted in just a few easy clicks. It’s a no-brainer… [Clerk.io] has had a huge impact on the business, it's really important. And it's really nice to have it up and running in just 2 hours!